Social Media Buzz about the Royal Wedding – ¿¡ tjongolongo ?! 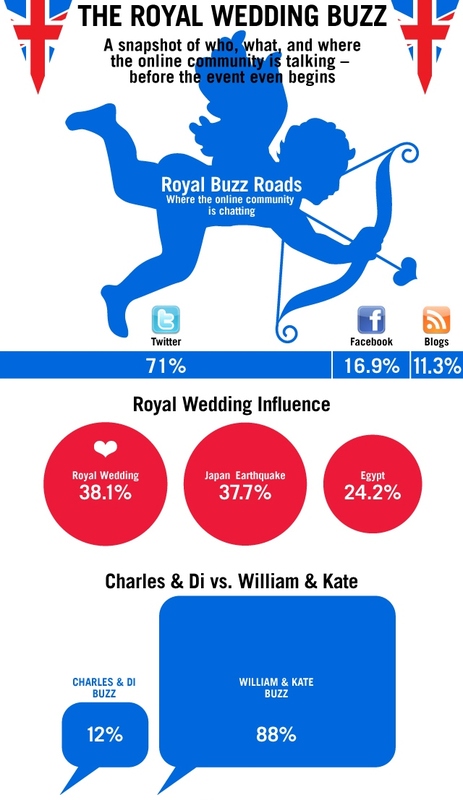 According to Mashable, on Twitter and Facebook the term ‘Royal Wedding’ (#RoyalWedding) was the trending topic today. They also say that the wedding has broken live streaming records! Google has also done a little extra for the special day. They’ve created a special Google Doodle. And they’ve added a little bride and groom to Google Maps to replace the normal Street View man. Very cute! All and all there’s been quite a buzz going on about the Royal Wedding. Mostly from the UK and the US as you can see in the infographic. But I’m sure all over the world people are buzzing about the wedding whether they like it or not! I wasn’t planning on writing about the wedding, but seeing all the buzz on Social Media, I couldn’t help not to! Have you been buzzing about the Royal Wedding today?